‘Digital India’ is not just a dream anymore! It is very much a reality now. Be it corporate firms, media agencies, Government organizations, NGOs or small and medium businesses; today everyone is digitally present and active. We have already discussed the neat difference between online marketing and digital marketing. Though a fine line exists between the both, online marketing is just a part of the vast digital marketing mix which indeed, is a part of the entire integrated marketing communications or IMC (IMC > Digital Marketing > Online Marketing). As explained, it is an inclusive bundle of online, SMS, notifications online banners and ads, SEO (search engine optimization) to name a few. Read about the various kinds of marketing strategies for online business to understand the basic difference between online and digital marketing. Search engine marketing ideally covers the complete paid form of advertising. You can perform a small exercise to figure out how SEM works on search engines and hence how it will work in the best interest of your online business. Increase visibility: As it sits on the top of the page, it is more likely to be visible and hence clicked. Increase clicks: High visibility means more clicks. People think that it is on the first page and on the top means it is a reliable source (which could be the case), but they do not understand the ‘Ad’ bit here. Scale up brand value: Surfers mainly rely on the first two pages of the search engine, the SEM controlled searches gain more clicks, thus increases credibility and brand recognition. Retargeted ads: For example: if you saw a product on site A and then you closed that site and hopped onto site B and C. The products which you saw on site A earlier will flash on site B and/or C as well. Basically, site A is trying to sell the products you were interested in. This is called retargeting. A wants you to make a purchase and hence wherever you go on the web it will follow you. Informative ads: These ads are never seen by you earlier maybe. They are new to you and performing the basic function of ads – you create product or brand awareness amongst the viewers. Impressions: It refers to the number of people who have viewed the ad at least once. So, if there are 5 ads on the webpage, the impressions calculated will be 5 every time one visits the page. eRPM: It signifies, effective revenue per thousand impressions. This term notifies the amount of money earned for every 1000 views this is the standardized method of calculating the monetization of the traffic coming to the website. The higher the eRPM the more money you make. 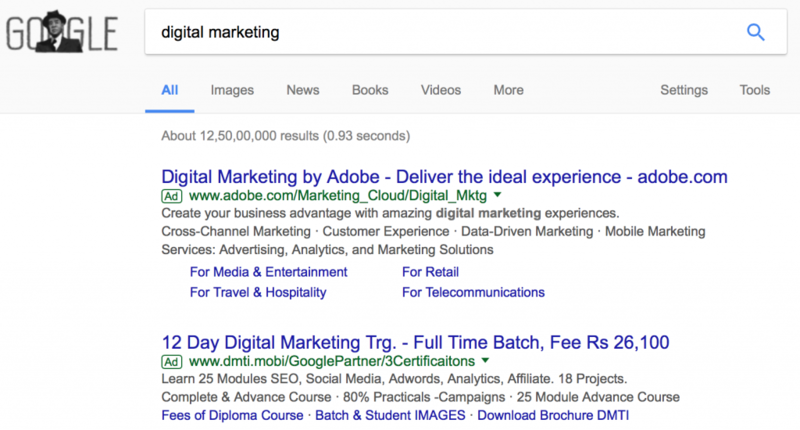 Cost per click or PPC (pay per click) means that when your display or search engine ads are clicked on, you will pay a certain mutually agreed amount to the site per click. 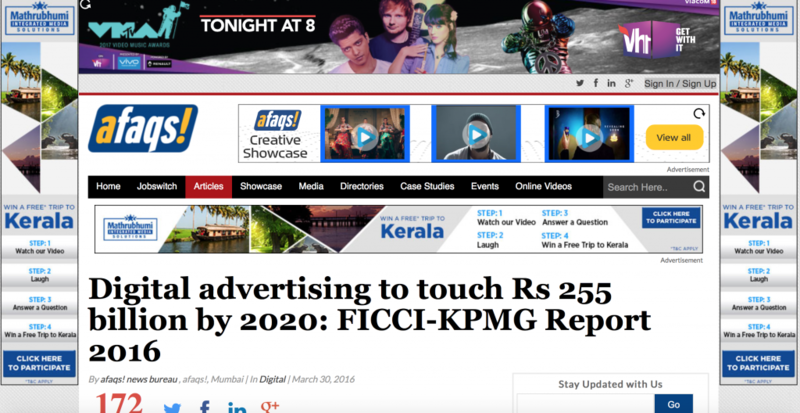 For instance, if you get 5 clicks on your ad and each click is worth Rs.5 then, you owe 5×5= Rs.25 to the site. The other alternative to calculate CPC is the cost per thousand (CPM), wherein impressions in 1000s are considered regardless of the viewer clicking on the ad or no. CPM is more or less similar to eRPM. Digital or online public relations is no rocket science. What PR professionals do in traditional media – newspaper, events, talk shows, digital PR experts the same online. There are many editions of e-magazines, e-newspapers, blogs, podcasts and so on. 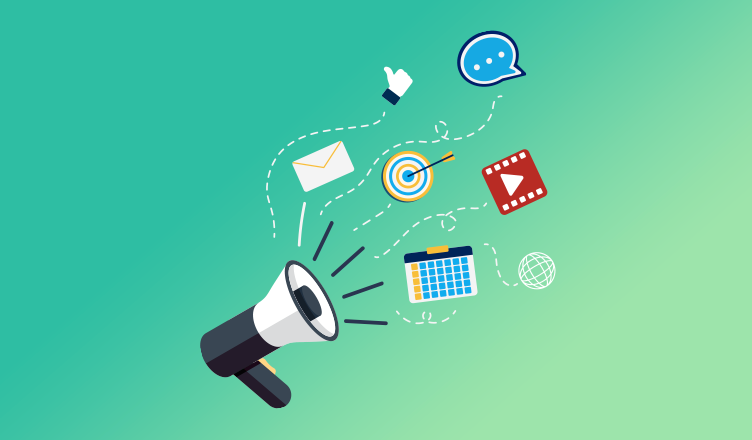 PR has proved to be a very powerful and effective tool offline and online it is all the more useful as it boosts your reach, shares, and awareness to a wider audience. The main advantage of digital PR is that it is more measurable than traditional PR. You can make use of UTM links and SEO tools to gain insights. You can precisely pull out the exact data you want to understand. It also focuses on evaluating domain authority (DA) and organic opportunities. This term is very well known to all of us. If simply put, social media marketing is one of the most vital parts of digital marketing. It refers to the process of welcoming traffic or target audience via Facebook, Instagram, Twitter, LinkedIn, YouTube and so on. Social media marketing is highly preferred by the marketers today because of its popularity, high reach, and greater visibility. This component is a must in your digital marketing plan. Social media content is highly driven by SEM and SEO. It is a way to earn commission by promoting other people’s or company’s products. Affiliate marketing is where you find a product you like, promote it to others and earn a piece of profit for each sale you make. It is a very preferred strategy today because of its effects and cost-effectivity. It is one tool which can help you achieve these objectives. It is not only a cost-effective strategy but also a very important arm of digital marketing. If you observe, you absorb it everywhere – social media, advertisements, announcements, emails, blogs, search engines and so on. It is an art of storytelling. Digital is not only limited to just blogs and Youtube, it is expanding into OTT (over the top content). OTT includes distribution of diverse content via audio, video and other media by using multiple-system operators (MSO) with an internet connection. For example, you can view Hotstar shows on TV, laptops/desktops and even mobile phones. OTT enables a wide distribution of content and hence its consumption. Today as the world is becoming a lot more social, marketers want to reach out to their audiences in the best possible channel, time and place. A recent report points out to phenomena that over 1,800 million people are actively using social media at present. Marketers want to target these people, millennials mostly, who are their consumers by utilizing influencer marketing. Usually marketers tie-up with social media influencers for a particular project or time span (depending on the prominence of the connectivity and impression amongst their followers) to promote their brand and products. Be it videos, stories or images everything funny, effective and realistic is viral. It is mainly structured and planned for social media. Are you aware of one day when your Facebook newsfeed doesn’t have a meme or gifs without any likes or comments? It is very effective on social media channels. The name says it all. It refers to reference! Your customer will refer your business to 10 others and those 10 will refer to other 20 people. This effect of reference also to power with word of mouth will take place only if you provide quality service and product to your customers. Customer relationship management is an important element not only in digital marketing strategy alone but otherwise as well. This is recuperating with your customers in a condition of crisis or disaster. For example, you sold a product to one of your customers and it didn’t come across as the one your customer wanted or it turned out to be defective. Then CRM comes into the picture. You may either give an upgraded product for a lesser price or introduce cash backs and so on. Maintaining a healthy relationship with your customer is very important to sustain and scale your business up. It includes in-app advertising and promoting your products and services. You can also make use of digital mobile games to promote. Mobile has become a very crucial part of our lives. Be it rich or poor, rural or urban, making use of feasible data packs for entertainment and information is a supernova. Marketers today are exploring all means to reach their customers via the small screen which can easily slip into ones pocket. Mobile is empowerment and confidence to achieve whatever one wants instantly. Search engine optimization is a part of SEM but the only difference is – SEO is organic. Search engines have always been a major platform to drive bulk traffic to websites. With a change in Google algorithms, you need to be extra careful while optimizing your website. Implementing right SEO techniques is the best way to create a Google-friendly website. It helps you to maintain SERP (search engine results page) ranking. Similarly, for content marketing, you don’t have to pay yourself for drafting blogs or putting up timely social media content. As discussed above, it is a very vital component in any form of marketing. People see your content be it in the form of text, pictures or videos, and this content helps them to dive deeper into the decisions making process. Not all forms of viral marketing are paid or boosted. Agencies thrive harder to get their videos and other content infectiously circulating on the social media. In this quest, they end up paying heavily to the agencies or the social media channel directly. A classic example of organic viral marketing is ALS ice bucket challenge. The crux of the content was so crisp that no money was required to be pumped in. In fact, the noble cause got charity in millions. If you have a business you can be the spokesperson and communicate your business to your close circle of friends and family, talk about your products and even give testers. All this for free. The word of mouth effect starts rolling from you and ends up reaching to millions. All this free. The bottom line remains the same in both paid and unpaid form of referral marketing – the product or service needs to be exceptionally true and useful. It is not necessary that you give cash backs and reduced rates products to your customers to maintain relationships, a kind gesture of acknowledgment in your business – on your social media page or website is very receptive and appreciated by your customer. The recognition is of relevance than the money spent. Identify what is your aim for developing a digital marketing plan? Ask yourself why are you creating it? For whom is it? What will it give your business in return? Also, know what your customers are looking for? Answering these questions will make your marketing strategy stronger and relevant. Once you know what you actually want to achieve on the digital platform, measuring your success against the final report will become easy. 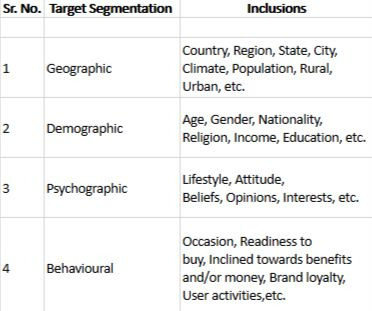 Target Audience: Depending on the categorization mentioned below you can zero down what and who are you looking out for and how do you want to target the best. Online Market: Which sites are your audience viewing? For how long? What kind of digital content is your competitor marketing to draw users? What are people consuming online? What are they sharing? What is trending online? Where do the gaps exist? Keyword Search: SEO is one of the most vital parts of online digital marketing. Which is the most used keyword in the market? Out that list, which keywords will work best for your business for maximum search engine optimization? Campaign theme (central idea): What do you want to convey in the campaign? How you want your target audience to react and behave after viewing your campaign? Tagline: This will explain what your campaign is about in as short as a line. Eg: Coca-Cola – Open Happiness. Campaign Duration: Here, you need to decide the duration of your campaign. How long you want your target audiences to see it? How much time is adequate to run the campaign for its success. Creatives: A picture is worth 1000 words! Your creatives are the face of your campaign. They can’t be weak. Creative/ image is what your audience will see first and then decide whether or not to move ahead or dig deeper into the campaign. Here’s what you need to answer for yourself: How will the creatives be created and what will be the best font, color, texture, copy of the creatives?What will be visually appealing your audience? How your creatives will compel them to click on your campaign and take action? How will your entire feel and look of the campaign make them stay on your page or be glued to your campaign for longer? Duration: Every campaign has a duration attached to it. Typically, your digital marketing campaign can run for 3 months, 6 months, a year or for as long a particular occasion is. Then whether to extend or cut short the actual duration solely depends on your analytics numbers and the campaign effectivity. Example, you can plan summer campaigns, Diwali campaigns or even an Independence day campaign. Here, you need to make sure that the visibility and awareness of the campaign are created and started way in advance. If you are aiming for a summer campaign, there is no point in making your campaign live during Diwali or Christmas. You need to planned and prepared for your campaign well in advance so that when it’s time, it’s just the matter of executing your campaign and not creating it from scratch. Digital Channel Mixing: Once you are clear about what and how it’s time to know where?! Digital marketing is a very vast field with multiple overlapping options. You need to choose whether you want to make use of only paid or only organic digital media? Google search ads or webpage banner ads? You want to use simply content marketing or team it up with referral and influencer marketing as well? You need to choose the best permutation and combination for your campaign. Manage Content: Content even in the digital world is the king! No industry or campaign can work without content. Content can be textual, it can be in the form of videos or pictures. But it needs to lead your audience somewhere, a place of their deep root interests. For example, if your audiences are searching for “best marketing strategies for online business“, then they should land up somewhere by clicking on your link – blog, video, statistics, comparison chart, infographic and so on. Your campaign must provide quality and value to your searches and you can provide this with the help of valuable content. Social Media or SMS? Mobile or online marketing? Where do you want to distribute your digital marketing content and strategy to reach your correct audience is of utmost importance. Once you have decided the channels you want to make use of, distributing is as easy as 1-2-3! Because of digital marketing buying your preferred media space takes less time than buying a traditional media spaces – newspapers, magazines, TV, etc. You need to know which type of campaign strategy or creatives worked best. Where is the improvisation needed? How can you draw more audience to your campaign? How your result numbers increase? Also, check whether you have achieved your goals? Did your message reach the audience the way you intended it to? And so on. Analyzing your digital marketing strategies and its effects on the market should be your routine! There is no specified budget for any digital marketing campaigns. It solely depends on your analytics at the end of the day. However, it is advisable to not bank all your budget on one channel or online media. Allocate or invest your money in various channels – email, SMS, social media, YouTube, Online PR, etc. Appeals: whether the referred campaign struck the logical or practical chord, or was it successful because of its humor angle and so on. Basically, you need to figure out what element or the campaign was the most appealing to the audience. Emotions: People preferred P&G products because of its emotional and light mother-child videos? Or did the Dove real beauty testimonial ad create true empowerment, tender self-love, and celebration in the women? Usability: By making use of these emotions and appeals and other creative elements, what actually made the audience make up their mind to buy that particular product or for instance, participate actively in the ALS ice bucket challenge for a cause? How easy it is to make a decision in the favor of what they see? Views: What are people actually viewing on the digital platforms? This question is of utmost importance because today almost every brand – big or small has some of the other digital media presence be it on social media, websites, search engines and so on. Your budget can be as big as lakhs and crores or as small as a few thousand, pumping in money is always your choice. What really matters is choosing the right channel mix for your business and boosting it till you derive at satisfactory results. As per FICCI report enlarging 2016 statistics, India projected a good 15.5% which states that the country is a fastest growing advertising markets globally with a large consumer base. 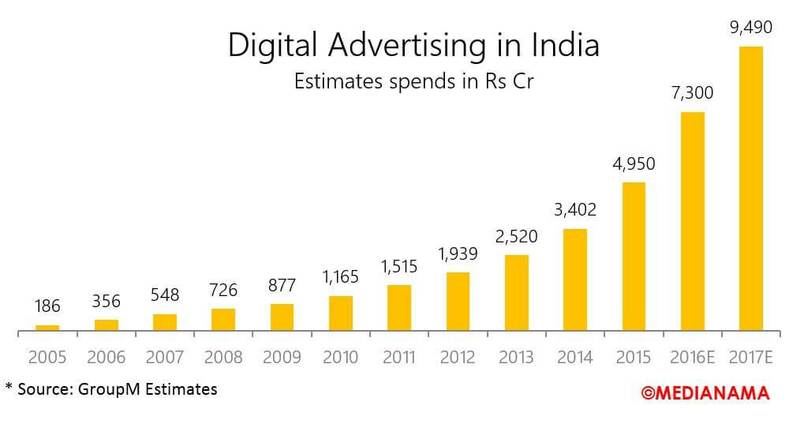 Also, the most reliable insights source points to the fact that, though India is marching slowly on 12.7% in the digital ad spend arena, it is the fastest growing mediums at 33.5 CAGR (Compound Annual Growth Rate) from 2015-2020. Consumption of online video content has drastically shot up from 49% to 66% over the last year (afaqs.com). These statistics are not just about growth rates and numbers, but it clearly makes a statement that digital advertising and content is on an all-time rise and is also raising the business spectrum way high. Flexibility and change are the keys to owning and creating any digital marketing campaign. Keeping the above information in mind, successful digital marketing definitely takes time, creativity and work plan to fall into place. But it is worth all the efforts! Before laying the blueprint for your digital marketing campaign, want to kickstart your online business? Looking out for a simple, fast and safe payment gateway? Collect Payments with PayUmoney.